Objectives: Pregnancy-related anxiety is a risk factor for poor outcomes. The aim of this study was to validate the Farsi version of the Anxiety Scale for Pregnancy (ASP) in a sample of Iranian women. Materials and Methods: After translation and back-translation of the ASP, the content validity ratio (CVR) and the content validity index (CVI) of each item were calculated based on the opinions of a panel of 10 experts. Four hundred pregnant women in the third trimester of pregnancy completed the Farsi version of the ASP. For discriminant validity, we compared the ASP mean scores of women with low and high levels of childbirth fear. Confirmatory factor analysis (CFA) was performed to investigate construct validity of the scale. Results: No item had CVR and CVI scores less than 0.62 and 0.8, respectively. The results of the CFA for the ASP were unsatisfactory for the proposed 5-factor model (RMSEA = 0.087, SRMR = 0.092, chi-square/df = 4.03, CFI = 0.87, and GFI = 0.91). After removing item 9, satisfactory CFA results were obtained and the structural model fit was confirmed (RMSEA = 0.066 (CI [0.053, 0.078]), SRMR = 0.069, chi-square/df = 2.71, CFI = 0.93, GFI = 0.95). Cronbach αcoefficient for the 13-item ASP was 0.703. 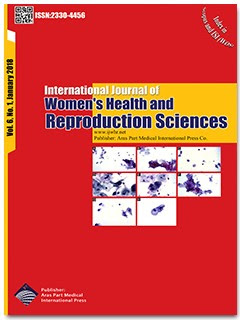 The scale showed moderate correlations with the Spielberger State-Trait Anxiety Inventory (STAI) and Childbirth Attitudes Questionnaire (CAQ) scores (0.61, 0.59, and 0.57, respectively) and could differentiate well between women who preferred cesarean and those requesting vaginal delivery. Conclusion: The present study confirmed the content validity and construct validity of the Farsi version of the 13-item ASP for women in the third trimester of pregnancy.